BRAND NEW ROOF! Hurry fast to see this sprawling LAKE VIEW, 3 BEDROOM home in West Boynton Beach's popular Coral Lakes. Along with the new roof, BRAND NEW TILE THROUGHOUT LIVING AREAS AND KITCHEN! BRAND NEW CARPETING IN ALL 3 BEDROOMS! BRAND NEW KITCHEN! WOW!!! PRICED TO SELL, this home is ready for you to make it your own. Enter through the keypad entry to the garage or through the screen enclosed covered entry and you will be greeted by open living space leading to a SPARKLING WATER VIEW. BRAND NEW KITCHEN CABINETS with BRAND NEW GRANITE COUNTERTOPS, snack bar, stainless steel appliances and lots of storage. Newer microwave (2018) and dishwasher (2018). Newer refrigerator and range. With a huge great room and formal living room, there is plenty of room for entertaining. 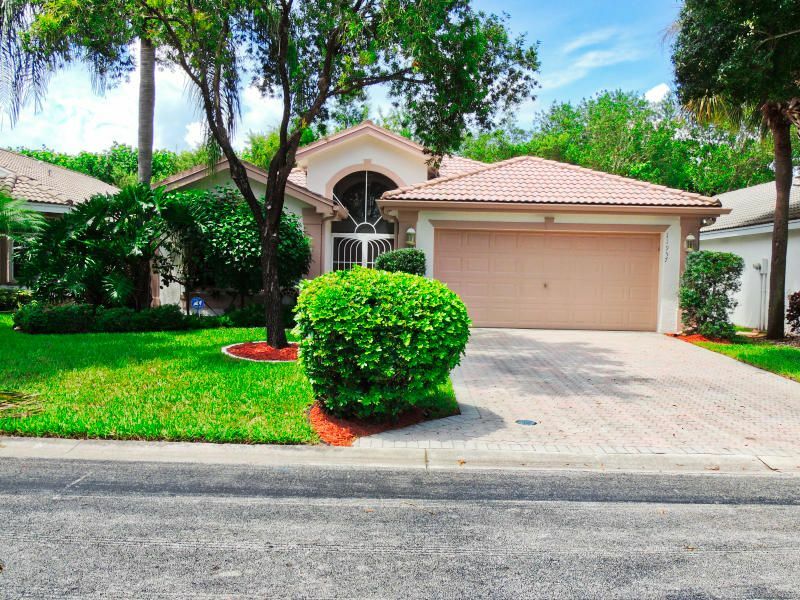 This home is located in CORAL LAKES 2 55+ Active Adult Community. As an Active Adult Community Specialist for over 16 years, I know these communities very well. I am a real estate agent who cares. I don't just want to sell you a house, I want to sell you the perfect home that will fit your needs as well as your lifestyle. I live and play in an active adult community and the lifestyle is wonderful. Country Club living without the country club fees. To All of my baby boomers not quite 55 years old who want to live in a 55 plus community, please call me for a list of Active Adult Communities that will allow you to live in some of these wonderful communities! Please call me with any questions that you may have at (561)-306-7430.